Krushna Abhishek is an Indian stand-up comedian who initiated his career with the film "Yeh Kaisi Mohabbat Hai" in 2002 but later put his entire focus on Indian televisions and finally emerged as a superb comedian with astounding timing and humour. He became famous with Indian comedy shows like Comedy Circus season 2 and Comedy Circus Ka Jadoo in 2010. He also did some TV soaps like "Sauttela" in DD ( Doordarshan ) channel. Apart from his comedy and acting skills, he is also an accomplished dancer and participated in various dance shows like Nach Baliye ( Season 3, 2007 ) and Jhalak Dikhhla Jaa ( Season 4, 2010). He is currently hosting a show called "Killer Karaoke" for &TV which is actually a singing entertainment show. 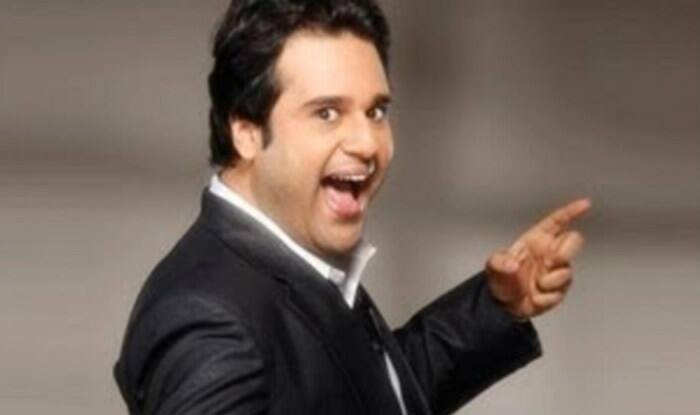 Krushna was born on 30-05-1983 in Mumbai ( Maharashtra ) and completed his schooling from St. Loran's High School. He is the nephew of infamous Bollywood star Govinda. He has a sister named Aarti. He made his debut in Bollywood with the film called "Yeh Kaisi Mohabbat Hai" followed by some more like "Hum Tum Aur mother", "Jahan Jaaeyega Hamen Paaeyega" and "Aur Pappu Pass Ho Gaya" but later went to Bhojpuri film industry where he did many super hit films. Ragini Khanna, Amit Khanna and Soumya Seth are his cousins. In the year 2007, he was seen in a TV show also called "Sautela" where he portrayed the main and lead character. Finally, he achieved another level of fame when appeared in the film called "Bol Bachchan" in 2012 along with biggies like Abhishek Bachchan and Ajay Devgan. On July 24 of 2013, Abhishek tied the knot secretly with actress Kashmira Shah in Las Vegas where some of his close friends and knows have participated only. After two years of their secret marriage, they announced their marriage officially.